August 12, 2018, 3:11 PM · Starting next year, and over the next few years following, five developments will debut at theme parks around the world that promise to change the direction of the industry. The Wizarding World of Harry Potter in 2010 opened the current era in the themed entertainment business, when parks either made a commitment to developing more immersive and sharply focused environments... or they started to fall behind those parks that did. The projects coming up, starting next year, promise to advance what Universal began with its Potter lands. Whether they succeed or fail remains to be discovered, but each project represents a massive financial investment that has the potential to drive traffic and revenue as the Wizarding World did for Universal, if not beyond. Disney's largest-ever themed lands will include what its Imagineers promise to be the most interactive and immersive theme park experience ever developed. The 14-acre Black Spire Outpost will include two rides — one where you fly the Millennium Falcon plus a motion-base ride through a battle with the First Order — but the land itself will be the attraction, supporting an ongoing, personalized interactive narrative through the rides, queues, restaurants, shops, and on-street interactions for fans who want a deep dive into the Star Wars universe. The Disneyland installation opens in Summer 2019 (we are guessing late June), while Disney World's debuts in late fall 2019. Disney hasn't said much about what it will include in its Marvel-themed land that will replace "A Bug's Land" and incorporate the neighboring Guardians of the Galaxy: Mission Breakout! at Disney California Adventure. 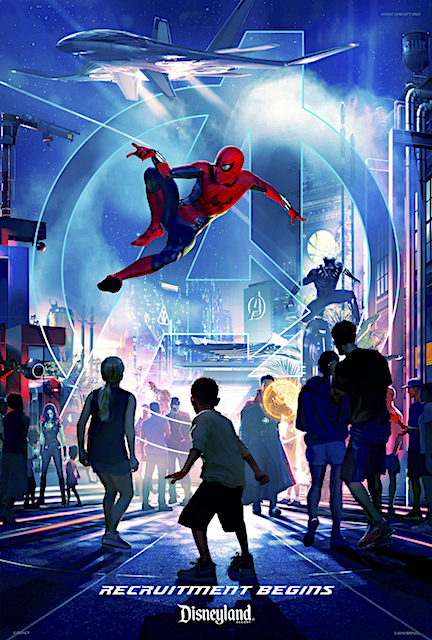 In fact, the resort is not even using the word "Marvel" to describe its "Super-hero land," thanks to that Universal contract. But with Marvel films having earned more than even the Star Wars franchise has, can Disney afford to roll out of subpar land for a more popular franchise just months after the opening of Galaxy's Edge? Especially after Universal set a such a high standard with its Amazing Adventures of Spider-Man rides in Orlando and Japan, which some fans still consider the best theme park rides in the world. With just two years until the land's announced opening in 2020 and demo of A Bug's Land not starting until next month at the earliest, Disney is not leaving itself much time to pull off what the public will expect to be a blockbuster. But, hey, I could count on one hand the number of people outside the company who thought that Mission Breakout would be a hit (for the record, I was one of them), so Disney has surprised people by pulling out a winner on a tight schedule before. Universal will seek to do for video game fans what it did for the wanna-be witches and wizards when it opens its first installation of this Nintendo-themed land in Osaka in 2020. Despite the company's reputation for screen-based attractions, Universal appears to be going practical here, creating a real-life Mario Kart attraction, among other interactive adventures. 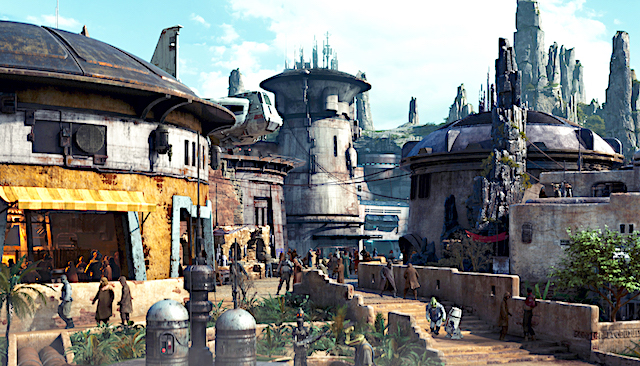 With Star Wars: Galaxy's Edge debuting the year before, Super Nintendo World provides Universal's best chance to reclaim the title of "world's best theme park land," should Disney's Star Wars land wrest it from The Wizarding World. But when will U.S. theme park fans get their chance to step into the world without booking an airline ticket to Japan? While Universal has promised installations at Universal Studios Hollywood and the Universal Orlando resort, it has yet to provide any dates or to start visible construction on those projects. Disney reinvented its Magic Kingdom template for the 21st century when it opened Shanghai Disneyland in 2016. 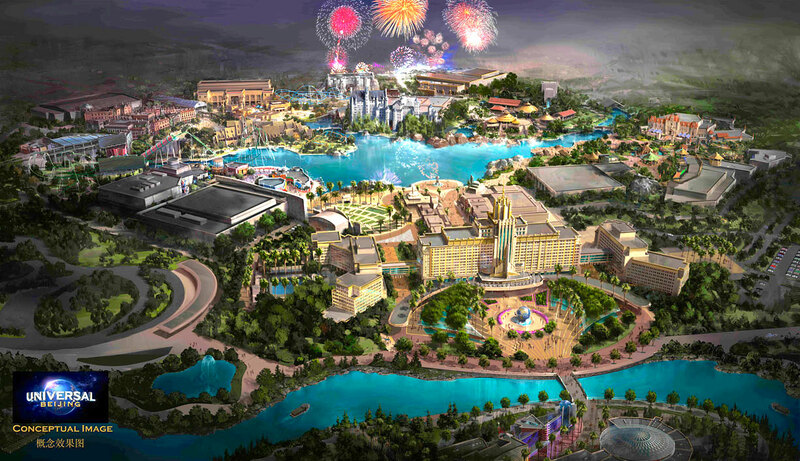 And in 2020 (or thereabouts), Universal will show the world its future vision for its studio parks when it joins Disney in the battle for the Chinese market with the opening of Universal Studios Beijing. The concept art for the new park includes an All-Star line-up of Universal's best lands, include both the Hogsmeade and Diagon Alley versions of The Wizarding World of Harry Potter. A Jurassic World is expected, too, but the first thing that Universal actually confirmed for the park was Fast & Furious: Supercharged, which didn't exactly set the world on fire like a NOS boost when it opened in Orlando. But if Chinese visitors embrace what Universal will offer them, they could help provide a massive income boost that could allow Universal to take another step toward Disney, as it did with Potter in 2010. When will the new property open? There's no official announcement of this project yet, much less a date. Our best guess? Let's say 2022 or 2023. All five of these projects are from Disney and Universal, which currently own or license the nation's top nine most-attended theme parks, as well as the world's top 10 and 14 of the top 15. (China's Chimelong Ocean Kingdom, come on down!) And these are not the only theme park projects these two companies have under development, with a new Harry Potter-themed coaster experience opening at Islands of Adventure next year and Epcot v3.0 and a TRON-themed coaster coming to Walt Disney World in the next few years after that, too. With Warner Bros. coming strong into theme park business, the pressure is on established competitors SeaWorld, Cedar Fair, Six Flags, and others to find a way to step up if they don't wish to fall further and further behind the market leaders. Really, Star Wars has to top it as the idea of linking that franchise and Disney is so top and it's way early to tell on Universal's fourth gate yet. With Universal opening a new park in Orlando in the next ~5 years, Disney will need a few big reasons to convince guests against sacrificing a day at their parks. Harry Potter set the standard, now Disney has to follow with Galaxy's Edge. I've been bemoaning the fact that Disney didn't put Star Wars in the third Anaheim theme park, but I guess they had to test the waters by putting it in Disneyland first. The third theme park, when it comes, will have to pull out all the stops. Disney's been advertising the Guardians of the Galaxy tower as the anchor for DCA's Marvel Land, that doesn't sound too great for the opening. If they really want to wow people, they need to add something equal to IOA's Spiderman ride, if not, it's going to be a big thud. But as we have seen with Pixar Pier, if it's merely something new, people will still come. But it will add to Disney's reputation of spending as little as they can because they know Disneyland annual passholders will eat it up. Without a doubt Universals fourth park. They need to take on the big parks like Epcot, Animal Kingdom and Disney Sea. Until now they never had the space to do it. People are losing interest in Disney's SJW Star Wars and it will be interesting to see if Galaxys Edge will suffer from that. Plus it already has the risk of a land that is not from the movies and people have no connection to it like the Potter lands. Star Wars will be a game changer. But the one I'm most excited for is DEFINETELY Universal's 4th Gate. The rumored name "Fantastic World's" hints at multiple immersive lands, but what exactly is gonna happen is anyone's guess... Which is exactly why it's so exciting. Endless possbilities. Star Wars as a phenomenon is in jeopardy with the awful Last Jedi. So the Harry Potter franchise has the advantage. I just hope Batuu is worth it. Galaxy Edge should be better known as Galaxy’s End. Universal needs a coherent park. Harry Potter is terrific, but little else is. Universal relies on licensing to its own detriment. You can call Universal parks’ Disney’s and Warner Bros’ best. 1. When the 1st HP land was in the process of being built, the big debate at that time was: Who will do it better, Universal with Wizarding World of Harry Potter, or Disney with Radiator Springs/Carsland. Star Wars, if it is as interactive and immersive as it has been hyped up to be, will be a game changer. Regardless of how well or poorly the IP is doing as a whole, if Disney is able to pull off a completely unique experience for guests that changes based on their actions in the universe, it will redefine what can be done with theme parks. At the moment, I don't think we have enough information to say that any of the other projects will have the impact that Star Wars does, but I could see Super Nintendo World or the 4th Universal Park doing so depending on what they end up being. I'm doubtful we'll see much we haven't seen before from Universal Studios Beijing, and I'm pretty confident Marvel Land will be just another IP-based theme park land without anything revolutionary going on. A third Harry Potter area!? Seriously!? Isn’t one enough? They already got rid of Jaws, Back to the Future and other classic rides. They need to stop making the same crap over and over again! It’s a shame none of the classic rides will be experienced by the next generations.... no one will get to experience Jaws attacking their boat, instead they will be surrounded by Minions and all the other crap. Disney is in a habit of over promising. Avatar would have many interactive elements and light up footsteps and a pulsating forest. What we got is 1 good screen ride, a boring water ride and a land worth a picture but in essence dead. Even the entertainment is sub par. I'm afraid Star Wars is going to be like that. Disney had the theme park rights forever but did almost nothing with it. Lucas wanted a makeover for the dated ride for ages but Disney wanted it cheap and easy. Only after they decided to buy Star Wars they invested to please Lucas, not the fans. So I expect a beautiful land with empty promises. It also doesn't help that is former Star Wars fan doesn't care for the new Star Wars movies anymore and isn't in a hurry to visit a place that is not in the first trilogy. Universal does well when it's pushed by an external ip holder. Potter went above and beyond the theme park world has seen for ages. I'm very, very excited for the new Potter coaster. 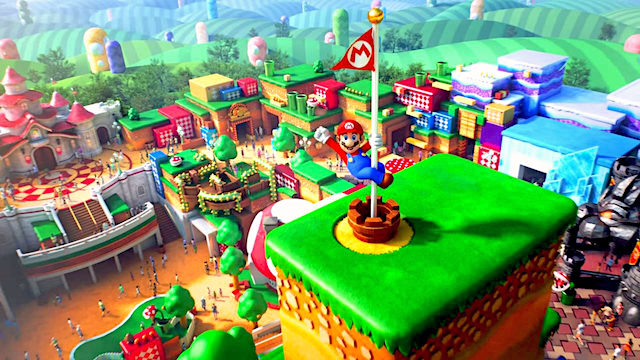 I expect Nintendo World (who I expect to be in the "fourth" park) be another step in theme park lands. We will get unique transportation vehicles, interactivity, food and immersion. I'm looking forward to the fourth park (with Nintendo World) more than anything else. If The Phantom Menace didn't ruin Star Wars, then there is no way that The Last Jedi can ruin Star Wars. Nothing short of cardboard sets on popsicle sticks will lead to Galaxy's Edge being a failure. It will be a home-run for Hollywood Studios for the years to come. I am excited about future plans for Universal Orlando, but that is so far down the road it feels too early to look forward to. It's been a while since the U.S. saw the addition of a full new theme park. We are so used to seeing the addition of one single IP for an immersive land or attraction - what will an entire park of that do for the industry? Universal has a chance not seen in years to redefine what it means to introduce a theme park - what will they do with this opportunity? IP IP IP. Disney and Universal's strategy has always been to tie in parks with movies, but in the past 10 years its been taken to the extreme. When was the last time one of these parks added a new ride that wasn't tied to some popular IP? The new Universal park is likely going to be all lands of known IP. All of the attractions Disney are adding in all of their parks are all well known IP. 2010-2020 will be known as the decade of IP and that trend doesn't seem to be stopping anytime soon. Let's be clear on the question. What will "change the direction of the parks?" Well Universal Beijing and Marvel land are going to be more of them same. If the StarWars hotel does well, a new standard in hotel/theme park coordination will be made. Great article Robert. Gotta agree with Steve B -- this really is the second golden age for Theme Park fans. So many choices, so many things to do. The Fourth Gate at Universal could be even bigger. The potential issue for me is Uni still has a marketing problem. Most people I talk to still don't understand the setup of UOR vs IoA vs Hollywood vs Studios vs Potter. Being a life long California resident, USH was a never an upsell to encourage me to visit the larger UOR. I didn't even know UOR was that much larger. I just thought IoA was a land inside UOS. Not enough to fly across the country. Word of mouth reviews of Potter changed that. I still didn't understand the difference between UOR and USH, I just knew I needed to see Potter. And then discovered an amazing themed resort in Orlando waiting for me. "Fantastic World's featuring Mario and Zelda" could continue that change. People may not know about UOR, but they might want to go see that new "Mario Park" and discover an amazing new (to them) full scale resort just waiting for them. I think people that know about the new Star Wars Land already know about Disneyland and WDW. It will definitely be a huge income boost, but will it bring new people that didn't already know about Disney? I think the opening of universals 4th gate (3rd theme park- I still don't class volcano bay as a theme park- it's a water park) will definitely have knock on impacts for disney. Because it means that universal will start to pull more guests to stay at their parks rather than disney becoming more of a resort. This will for sure have negative impacts for sea world/ Busch gardens and legoland as people if going for two week vacation will most likely only stay in disney/universal parks as there is so much more to do. Also as universal has brought so much land it could in the future have enough room for a 5th gate and maybe even 6, plus loads more hotels and transport options between the two sites keeping people on site. Therefore I think the future of theme parks will be most prominently seen in the second tier theme parks as they try to attract visitors back from the first tier parks. However with Star Wars land whilst I'm sure it will be amazing, it won't change the future for theme parks as the precedent of immersive and themed lands was set with WWoHP, and avatar, Star Wars and Nintendo are the knock on effects. Got to agree with OT, Star Wars Land may be great, but I'm not as excited to visit as I would be if it were based on the original trilogy. The last trilogy is meh at best, yes, it broke all records and reinvigorated the franchise, but it did so by standing on the shoulders of the original trilogy. I'm not that excited to pilot the Millennium Falcon with Finn or Rey, I want Han Solo!!! But the original Han, not the 'Solo' Han. I'm also not that excited to face off with touchy feely Kylo Ren when I'd rather face off with the ultimate villain, Darth Vader!!! It might have seemed like a good idea to Bob Iger when he wanted to make the new land about the new trilogy, but considering the fan reaction to the Last Jedi and the tepid reaction to Solo, the excitement about Star Wars in general has become deflated somewhat. The questions was which development would "change the direction of theme parks?" Regarding Galaxy's Edge: I will also bet there will be some new ideas in tiered ticketing systems and mapping. There's been chatter about patents on new technology surrounding holograms, etc. Sounds cool TH, but isn't that what Disney wanted to achieve with Mission: Space 15 years ago? The Millennium Falcon attraction certainly sounds cool (despite the video from nearly 5 months ago), but what good is "re-ride-ability" when guests are waiting 4+ hours to ride just once? It's great for an older attraction like Star Tours that needed refreshing as it grew stale in the face of the prequels, and it's average 15-20 minute lines allowed guests to take 4 or 5 spins on the ride in a single day. However, what good does having a detailed, multi-prong, variable storyline do if guests can only feasible ride it once over the course of their 2-week vacation? I'm also wondering what will happen with all of the immersive elements Disney is touting in Galaxy's Edge. As noted by OT, PtWoA was supposed to be filled with interactive and immersive elements, but all we see is a plant that ejaculates when we rub its side, and some lights and sounds that go off when we touch a specific spot on a tree that's only obvious if you see someone else do it or if a Cast Member tells you to try. There's no LED or fiber-optic lights in the pavement like was hinted at in the movies and pre-vis drawings, reminiscent of the tiles around Imagination in EPCOT. There's no "wand" style interactivity that was promised to interact with guests' magic bands. Disney appears to be doing a similar over-sell with Galaxy's Edge hinting at some special lightsaber tech or other interactive elements, and they also seem to be insinuating some type of role playing atmosphere between guests and cast members that sounds more like a dinner theater experience than a world class theme park. I'll applaud them if they're able to live up to the anticipation, and I'm already seriously planning a trip to Disneyland next August to see the land first hand, but I'm keeping my expectations in check, and preparing to be underwhelmed. If you would have asked me this question a couple of years ago (before PtWoA debuted), I would have easily said Galaxy's Edge, but given my general disappointment with PtWoA as a whole (FoP and Sa'tuli Canteen are great individual achievements, and the land looks great as a whole, but isn't the thoroughly immersive world I was expecting), has me tempering my enthusiasm for Galaxy's Edge. Instead, I think Universal's Nintendo World has the greatest potential. Video games are becoming an increasing part of world culture, perhaps even surpassing movies in some demographics. To bring the world of video games to life is no easy task, but if Universal, with the help of their gaming partner Nintendo, can pull it off, it could be revolutionary. I recently read an article about the death of the video game console, and how gaming companies are working to adapt to the increase in streaming and downloading of game to phones and portable devices. Games like Fortnite have altered the way people play and interact with video games, and a theme park land aimed at these fans that pulls a little bit of the video game world into the real world and vice versa has the chance to be one of the biggest theme park hits of all time. I think Universal Orlando's next gate is too far away to have any effects in the near term, and is likely to borrow from developments in the next 3-5 years. Similarly, Universal Beijing looks to be a cookie-cutter park utilizing existing templates. Disney's Not-Marvel Land at DCA just sounds like an exercise in cost cutting like Pixar Pier, so it will fail to energize. I voted for Galaxy’s Edge. Everything about it sounds like a complete game changer in terms of overall interactivity within the land. The fact that the hotel will be attached helps suggest that the land could act as an all day experience. I know virtually little about Nintendo or Universal’s fourth park, so until the shovels hit the ground, my excitement for those is minimal right now. West coaster here with only occasional access to East coast attractions. I was very excited to try the Disney Quest "Pirates" game several years back. But I was traveling with just one other partner, and it was near closing time, so we were ushered into a game room dominated by another family. This would be fine, but--of course--this family let its five year old son do the captaining for the game. Honestly, this poor little kid was RUBBISH at plotting even the most basic of courses, and was pretty terrified of the skeletons. All in all, while I enjoyed the tech and the possibilities of the game, I wished I'd been more in charge of my own destiny. So now I have this weird fear: am I going to be at the mercy of some unrelated five year old's attempts to pilot the Millennium Falcon? Is Chewie going to be all mad at me because I had to sit there and allowed bits to be knocked off his ship? How much control am I really going to be expected to have over my own destiny in Galaxy's Edge? For that matter, is the five year old going to burst into tears when Chewie is all mad at him? I'm really interested to see how it all shakes out. Just as a year or so ago we couldn't move without tripping over the term "bioluminescent" in blog posts about Pandora, we've been hearing all these vague promises about reputation building in Galaxy's Edge. While PtWoA may not look super cool after dark, I'm deliberately trying to keep my expectations low in the hopes that I'll be delighted. Nintendo land(s) and put simply this is the first time video games will be given scope to create and forge their own destination whether it works or works well is a completely different debate. as for the others, they are mostly clones/expansions of what we have already seen, Star Wars & Marvel lands are just giving space and consideration to IP Disney paid a lot for, that are popular and will bring people into the parks because they are nerds and want/need to experience everything that they can for their favourite IP. I think in the immersive themed experiences they've built so far, and Volcano bay's "no physical queue" design, Universal are prepared to take big risks to change the perception of what a Theme park can be. Whereas their overseas expansions will primarily be in the first case delivering a solid reliable, proven product to please the local investors, Florida gives them free range to keep inventing. I think Star wars is just more catching up to what Wizarding World already delivered. Thank goodness for JK Rowling's insistence on quality control with the Harry Potter land. If she'd hadn't forced Universal to incorporate such immersion, with the level of detail that she demanded, it could have just been a nice land that people enjoyed - but not the game changer that it was. Now look at what we've gotten ourselves in to!! Holy Toledo, Batman! I can't believe my theme-park-loving eyes that adding a huge new Universal Studios park in Beijing, that is meant to be a rival to Shanghai's Disneyland only received 1% of the vote!!!! I mean, that's going to be an amazing park. And it barely registers. I voted for the 4th Universal gate in Orlando. The reason is not because of what they put inside the park, or what kinds of shopping or hotels they build. The reason is because of how they're going to connect it to their existing resort down the road. If Universal is Creative (get it? ), then they will come up with a true game changer. 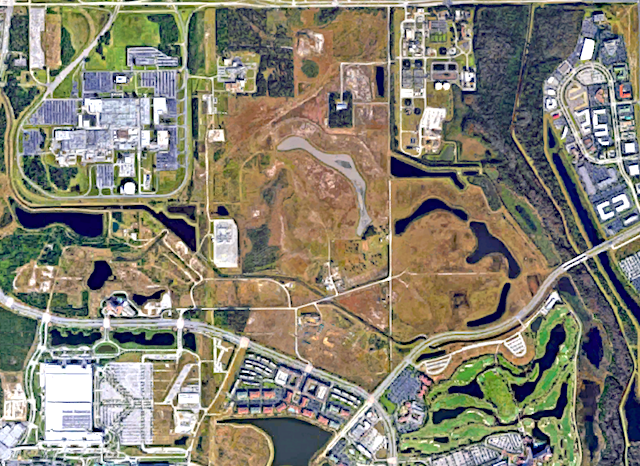 They might be laying the blue print for Disney (or other theme parks) to acquire nearby, but not adjacent land to expand on, and then connect them in a way that is not only NOT inconvenient, but also perhaps a welcoming addition, and daresay, an attraction all its own. I'm so curious to see how Universal plans to move people between the disconnected parks, and that is why I chose Universal's 4th Gate as the real game changer. Universal will soon be a Disney lite park. THANK the Walt Disney Company the next time you’re enjoying Universal. And, know the Walt Disney Company THANKS you for your $$$! C'mon Russell. you are a writer. I presume that means you have been following theme parks for as long as me. 25 yrs. uni and Disney don't build blockbuster rides just for the first two years when there is a 2-4 hr wait. if they are a hit, they will be in the parks for 30 years or longer in mostly the same form. with some refreshes like star tours and pirates gets or a holiday plan like small world and haunted. I do agree with you, Disney is being kind of short sighted by not utilizing the huge capacity omni mover system (or the next generation of it) more, to better eat the crowds. but. as marvel land and other newer rides are built over the years, the crowds will go down to 60 to 90 min. Is that not what cars land is in Anaheim now? 30 to 90 min depending on the time of year, day of week and time of day? @davedisney - I don't doubt that lines for the new Star Wars attractions will eventually become more manageable (though FoP is still averaging 2+ hours on most days over a year after its debut, and 7DMT is running 90+ minute lines on even slow days - though the later is more of a capacity issue than anything else). However, my point is that Disney is pushing these features to bloggers to tout the re-ridability of the new ride. They are saying from the get go that guests should try to ride the Millennium Falcon attraction as many times as possible to explore the different plot lines. I think it's admirable to attempt to give an new attraction repeatability so guests have a desire to come back again and again. However, I would give up that story variability for a more dynamic ride system - to be honest, there's been little reporting and few details released by Disney on the MF ride system, though it sounds like it's going to be some form of stationary Kuka Robo-coaster system. I enjoy the unpredictability of Star Tours, but would much rather have a more realistic simulation of a space adventure than to be able to turn down a random corridor with just some shaking and tilting simulation the motion, especially if I'm going to wait 3-4 hours the first time I try to ride (and probably 2 hours 4-5 years from now). At some point, you're going to wait in line for 2-4 hours and end up with an unsatisfying plot line, and frustrated about wasting time to see something you don't really care about, while your friends in the next capsule got the coolest story line imaginable. I think that's one of the biggest issues with variable story lines on a theme park attraction, especially one with what appears to be a 6-8 person capacity per screen. One group is enthusiastic and willing to wait in line for another 4 hours to replicate what they got while another group is bummed that they wasted so much time for a story they care little about - Jar Jar, again???? That's why it's essential that the ride be equipped with a dynamic ride system that can knock your socks off without the need for an engaging story. Disney emphasizing the video presentation while staying mum on the actual ride system concerns me about this attraction. I think the First Order attraction is supposed to be the "people eater" of Galaxy's Edge, but as they found with Na'Vi River Journey, you can't short change a dark ride and expect guests to be satisfied with a far superior attraction next door. If the trackless dark ride is nothing more than Antarctica with Storm Troopers and emo-Kylo Ren, then it will be a one and done for guests. Disney has to make that ride engaging to balance the seemingly lower capacity, more thrilling MF attraction. In the end, I don't think Disney is breaking any new ground with Galaxy's Edge, and appears to be following the same template that they have done with PtWoA and TSL (1 dynamic headliner attraction with a more accessible lesser attraction and a restaurant with some pretty scenery). I will grant that the Star Wars Hotel could break new ground into the world of themed entertainment, but I'm skeptical if the hotel will be done before even WDW50, so attributing something that opens 2+ years after Galaxy's Edge to the land as a whole would be unfair. I think Gabriel hit on a very important point, and one that I think will carry over to Nintendo World. Rowling was very exacting in the way Universal executed the Wizarding World in their parks, and from the sounds of it, Nintendo is having a similar hands-on involvement with the development of their new land. Theme park designers are going to often go to the same templates and designs, because they know what works and what can be done within a given budget and timeline. However, when an outsider comes in and disrupts the way theme parks are designed and executed, that's when something revolutionary happens. I don't see anything like that with Galaxy's Edge, but Nintendo World could see a dramatic shift in the way a theme park land is executed, just like WWoHP did. .....of course it's Universal's 4th park......by a mile. Make that 10! Mr. Meyer"...FoP is still averaging 2+ hours on most days over a year after its debut ..."
Wow! More than 4000 voters participating in this TPI survey and Star Wars Galaxy's Edge is running away with it.